Everything went according to plan when the ’Esvagt Aurora’ performed its first hook up of the FPSO Goliat to a tanker vessel for ENI Norway. “We were optimally prepared for the task we were charged with: We trained thoroughly, both in simulators and in the field,” says Steffen Rudbech Nielsen, Head of Ship Management, Operations. 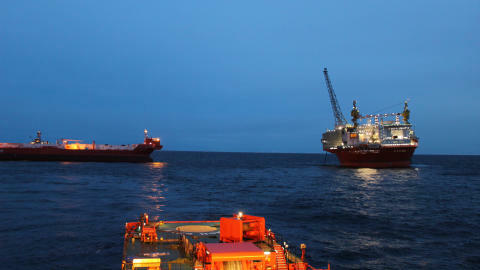 ENI Norway began producing oil from the Goliat field in March this year and the ’Esvagt Aurora’ has, among other duties, been tasked with connecting hoses from the FPSO to the tanker vessels. The FPSO has a storage capacity of almost one million barrels of oil, but with a daily production level of up to 100,000 barrels of oil, it needs frequent hook ups. The Goliat field lies 85 kilometres north west of Hammerfest and is both the world’s most northerly offshore producing location and the first in the Barents Sea. The field combines a range of factors that make production especially challenging. 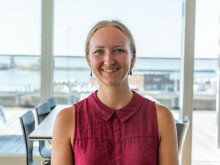 Apart from the effects snow, cold and lack of daylight have on working in the area, the Barents Sea is known for its rich – and vulnerable – wildlife. To accommodate the challenging conditions, ENI has developed the world’s largest and most advanced FPSO (Floating Production Storage and Offloading, ed. ), and production is carried out using a ground breaking new technique. The ’Esvagt Aurora’ was created in the same pioneering spirit. “The vessel is specially designed; both in relation to the tasks it needs to perform, and in relation to performing these tasks in the Goliat Field, with the very special challenges this brings,” says Steffen Rudbech Nielsen. The weather in the Barents Sea changes constantly. To accomodate this, the ’Esvagt Aurora’ has been extensively equipped and prepared for winter. “Very special local weather conditions, for example the arctic low pressure systems, are practically impossible to predict and bring particularly fierce weather,” says Steffen Rudbech Nielsen. “We are tasked as first line of action should there be an oil spill and the ’Esvagt Aurora’ is therefore equipped with a large oil spill collection storage capacity – larger than any other ESVAGT vessel,” says Steffen Rudbech Nielsen. The ’Esvagt Aurora’ has been chartered until 2023 with an option of a further five years. The ’Esvagt Aurora’ is 87 metres long, making it the longest vessel in the ESVAGT fleet. The vessel is an Ulstein SX123 Design and was built in 2012 at the Zamakona Shipyard in Bilbao. The Goliat Field has predicted reserves of 180 million barrels equivalent of oil. ESVAGT’s most recent new vessel, ’Esvagt Aurora’, is completely tailored for work in the Arctic Regions. The shipping company sees the extractions in the Arctic Regions in the coming years as a very important market.